YEHUDIT ZVAIG (BEN-ARI BITANSKY) joined the Likud party in 2005 and has become an active member of Likud Anglos half a year ago. Yehudit’s family have long been adherent’s the Likud’s brand of Zionism since the days of Menachem Begin. Having made Aliyah from Argentina more than two decades ago, Yehudit sees it a mission to advance and improve the absorption process for olim in general and from Latin America in particular. In addition, Yehudut is concerned with reforming the Israeli judicial system, protecting the rights of residents of Judea and Samaria and advancing the economic position and quality of life for all segments of Israeli society. 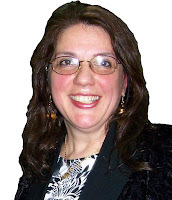 Yehudit is fluent in Hebrew, English, Spanish and proficient in French and Portuguese. She holds a Bachelor’s degree in Geography and Environmental Sciences from Bar Ilan University and is currently studying for her Master’s. Yehudit lives in Jerusalem. Her daughter, Rivka, is currently doing Sheirut Leumi (national service).